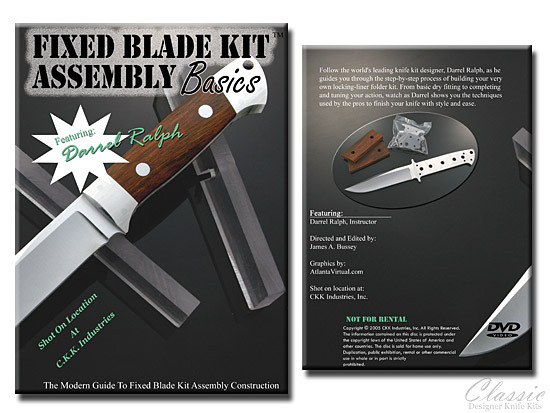 Follow the world's leading custom knife and modern knife kit designer, Darrel Ralph, as he guides you through the step-by-step process of building your very own fixed blade kit. Watch as Darrel takes you through the steps of assembling a Delta 5, a dual bolster fixed blade with handles, using hidden bolt handle pins. These basic techniques can be used for almost any fixed blade kit on the market to help you build a clean, tight, well tailored knife with your parts. Watch leading designer, Darrel Ralph, as he demonstrates techniques used by the pros to finish your fixed blade kit knife with style and ease.